Keno is the most widely and popular game to be enjoyed in Australia. In NSW Keno has been available to the Aussies at registered clubs since September 1991. 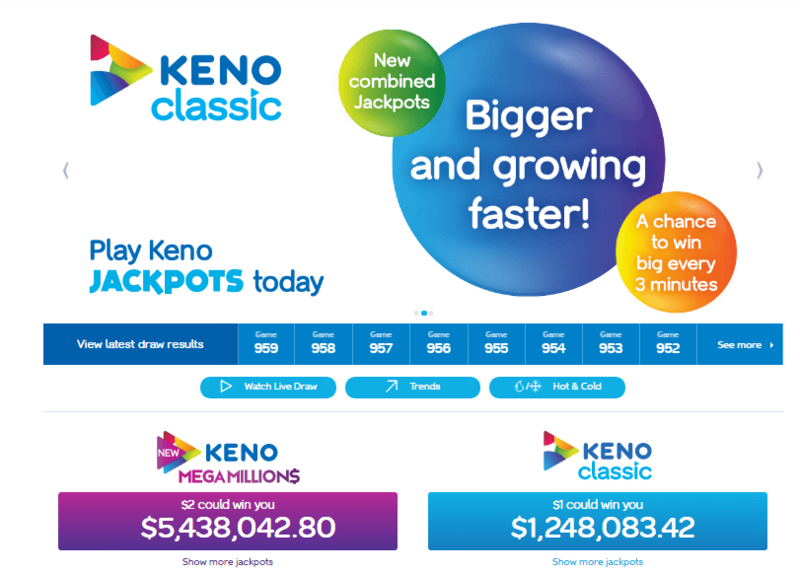 Lately celebrating the 25th anniversary of Keno’s arrival in New South Wales, Tabcorp has unveiled a new game in a bid to attract players seeking larger cash prizes. This game is called Keno Mega Millions and has a higher jackpot version of the current “Classic” Keno game that started earlier in NSW and this has brought a biggest change to the game in Keno’s NSW history. Keno games are drawn every three minutes and the results are televised on the screens located in the participating NSW venues. New South Wales keno is run by Tabcorp Holdings, a gaming, wagering, and keno operator, as well as Clubs NSW. 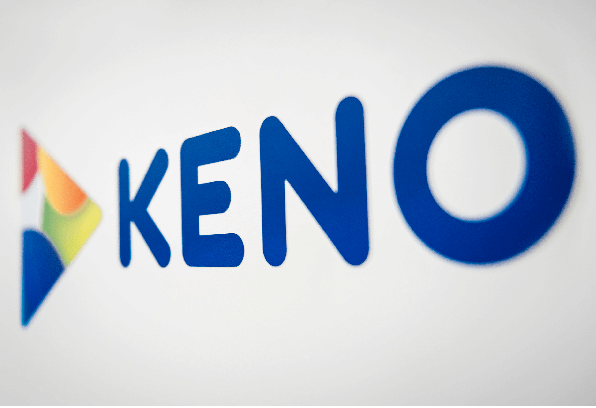 Offering keno to more than one million customers across NSW. Keno is played in 3,800 venues across NSW, Queensland, Victoria and the ACT, and in fiscal 2016 there were 100 million Keno tickets sold. Currently, Keno gives away approximately $35 million in prize money to New South Wales, Victorian and ACT players each month, and $62 million in total across the eastern seaboard. Keno venues include pub, clubs, hotels and anywhere with TAB facilities. Also you will find keno drawn by croupiers at casinos in NSW specifically Star City Casino. Tabcorp originally had a license for NSW Keno until 2050. You can find keno in both paper ticket form with new games available every three minutes, or electronically via gaming machines at your local pub, RSL, or club or even to play at online casinos. Sydney has 107 Keno venues to enjoy this game in clubs, hotels and Tab venues. At Wollongong you can find over 35 Keno locations like League clubs and hotels. Newcastle in NSW has over 58 Keno venues to enjoy at golf and sport clubs as well as hotels and taverns. Central coast has 11 of total keno places, Wagga Wagga has 12 hotels and Keno Clubs, Port Macquarie has nine Keno venues and Coffs Harbour has 12 Keno hotels and golf clubs to play this game. Keno in New South Wales is an easy game to learn how to play. Basically the game involves the numbers 1 through 80, twenty of those numbers are drawn for each game. Your job in this game is to choose between one and fifteen numbers that you think are going to be drawn. The game is almost completely automated, most places nowadays use electronic keno draws that are done by computers. There are a few places still some even in casinos that have people doing the number drawing. However the numbers are chosen you still need to get as many of your numbers as possible to match those that are drawn. Your numbers are called spots and when they are called your spots are caught. In each game 20 numbers are randomly drawn and the numbers you have chosen are called spots. When your numbers are called this means your spots are caught and you will be paid accordingly. If you match the numbers, you have the chance to win up to $1,000,000 and all you have to spend is $1. But remember your odds are quite high with a house edge of 15-30% at most land-based venues yet another reason to go online. If you win, you will be paid according to the amount of numbers you chose correctly. Not only can you get keno online at home, you can also get it in pubs online as well. Online keno is played very much the same way as playing it in person. You get a card and you choose your numbers only this time it is all done on the computer. Plus not only do you get to choose your numbers easily you also can play keno races faster. As soon as one race is done you can leave your numbers the same and play again right away or you can choose to change your numbers. Even if you choose to change your number you are still able to play immediately. That is a plus to playing keno online, there is no waiting for the next race to begin. Mega Millions Keno game has been developed to appeal to a younger customer who played socially and was solely interested in winning big jackpots. Mega Millions uses the same Keno ball draw but gives players the chance to win $5 million or more every three minutes with a spend of $2 – just $1 more than the current game. Keno Classic and Keno Mega Millions games play approximately every three minutes. Twenty numbers are drawn from the 80 available on the Keno display screen. Players simply match their numbers to the numbers drawn for a chance to win over $1 million for as little as $1 per game for Keno Classic or more than $5 million for as little as $2 per game for Keno Mega Millions. In addition to the new $5 million minimum cash prize for the 10-number game, the new premium game has higher jackpots on several lower number games and increased odds. The average top prize for Mega Millions will be around $7 million, with a minimum cash prize of $5 million, versus a $2 million average prize for the current game. Research indicates Mega Millions will broaden the appeal of Keno and will be the new entry point for jackpot chasers, who currently play Keno infrequently and only when Jackpots are high. Mega Millions offers much higher returns than Keno Classic including for the top prizes on 7, 8, 9, and 10 number games. The 2, 3, 4, 6 and 10 Spots have had their headline prize improved by more than 200 per cent. Both games will co-exist, so customers will continue to have the chance to win lower cash prizes every three minutes, and a spend of just $1 can still result in a $1 million jackpot or much more. Sydney has no shortage of keno. Not only do they offer keno in casinos they also have keno in your hotel as well as in their clubs. Keno is so popular in Sydney that the government also has their hands in the operation of keno games. Did you know that the revenue from keno and other lotto games of the sort are what funded the famous Sydney Opera House? The Opera House is not the only landmark or important building that has been funded by these games. Keno in Sydney is played the same way as it is played in New South Wales. It is played by a lot of people, in many differently locations and in several different forms. No matter where you go you are bound to be able to find a game of keno. Well at least any place that is not owned by the government or historical, you never know though maybe one day the Sydney Opera House may have a keno video machine installed in the front lobby to entertain visitors while they wait for the show to start. Highly doubtful but it is still considered a possibility.